I like the Houston trade/pick. I also really like Miami trading up for Matthews. Donald in the Top 10 is a slight surprise. I hate the Rams trading up for Clinton-Dix. I don't think they really would do that. Maybe HCD if they traded down. The rest of the Rams draft is solid though. Lee in the 2nd? I'll take that all day. SF looks loaded with talent. That's scary. Tuitt to Seattle would be a steal. I like the Raiders draft for them too. 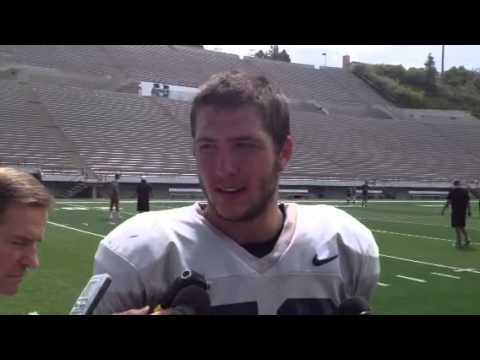 34OLB Kyler Fackrell - Utah St.